Is the New Year the best time to snag a gym deal? camera (Getty Images) The New Year can be a good time to get a good deal at the gym. Gyms and fitness studios aggressively market New Year's deals to people who aspire to be fit, but is this really the best time to get the best deal? Deals are typically very good compared with summer blowouts, when gyms compete with good weather and the great outdoors. But the deals really depend on the gym. "Gyms typically take advantage of consumers’ interest in New Year's resolutions to get back in shape," said Mark LoCastro of DealNews, adding that January is a "great time" to take advantage of gym membership deals. 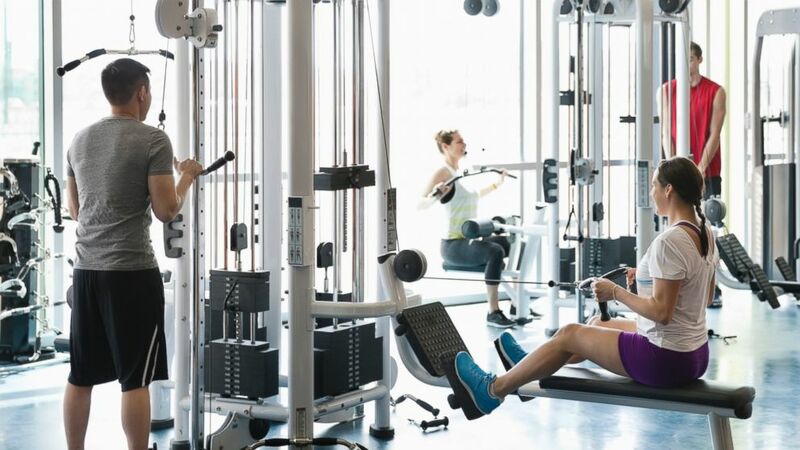 Based on Gold's Gym check-in data, the jump in traffic at the gym from December to January has risen each year to a current average increase of 40 percent nationwide, the company said. Gold's Gym International is offering now what vice president of communications David Reiseman calls "by far our most aggressive deal," a promotion with no contract or enrollment fees during January and February that requires a personal training purchase. Frank Pasquale, Crunch’s regional director of sales on the East Coast tells ABC News, “January is the month for fitness centers nationally." "Every club expects a significant uptick in foot traffic, but not every club will offer the ‘best' deal of the year," Pasquale said. Crunch Corporate will be reducing the standard enrollment fee by roughly 75 percent in January and if you pre-pay for the year three months are free. Crunch also offers new members up to 50 percent off certain personal training packages when they initially sign up. Megan Smyth, co-founder and CEO of multi-studio membership service New York FitReserve, said now is one of the best times for gym and studio deals. FitReserve is offering a one-time only New Year's special with 20 percent off universal access to full schedules at over 50 top studios and gyms and over 2,000 classes/week, plus half off a nutrition consultation with Keri Glassman's Nutritious Life. Gym-goers can be sure to save money by signing up in December or early in the New Year, said Suzie Baleson, co-founder of Wellthily and partner for New York Refinery Hotel's "Wellth" health and fitness program. "Chain gyms often waive or lower initiation fees and first month's dues, saving members up to $300 on upfront costs," Baleson said, while boutique studios often offer zero initiation fee or packages with discounts on classes. LoCastro suggests shoppers check their local gym for waived registration fees and possibly a free month or two if you sign up for a new membership. 1. Take advantage of free gym time by trying out a new gym for as long as week for some companies. Gold's Gym offers a seven-day trial. 2. Offer to pay for a year in advance at a discount, and ask for free personal training sessions. Blink Fitness, a no-frills gym owned by Equinox, recently offered flash weekend deals of 50 percent off an entire year of monthly dues if you pay up front. In the New York City area, that's $140 or $170 for the year after the discount, depending on the membership type you choose. 3. Check your health-insurance policy, because some plans offer gym discounts or rewards.